Because of the unrestrained slaughter of cougars on Buckskin Mountain, the deer population has increased so fast that they begin to starve. But when Thad Eburne, chief forest ranger, hears the government's plan to open a massive deer hunt to hundreds of indiscriminate hunters, he worries that it will only worsen man's dangerous meddling with nature. Then, when Eburne decides to save a deer herd from a cattleman bent on selling illegal deer meat for easy money, he finds himself up against the deadliest outlaw in the West. 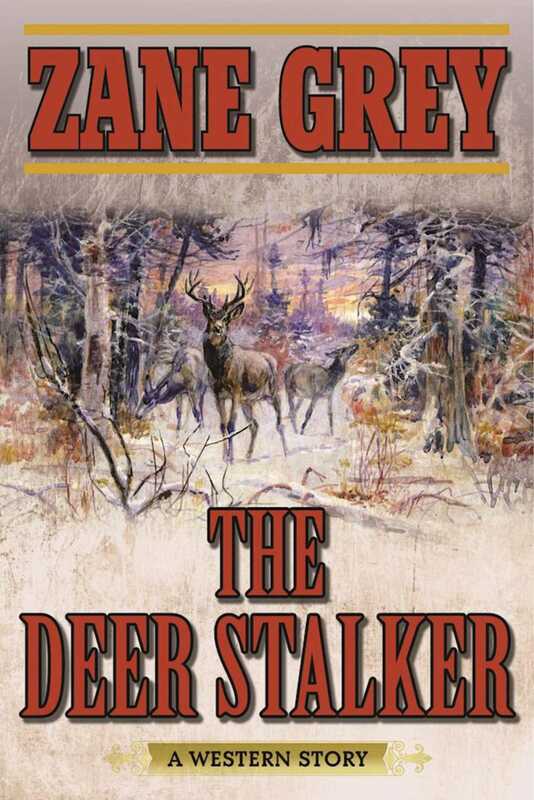 In The Deer Stalker, readers will find all they have come to expect from the great Western author Zane Greyswift action, magnificent descriptions of the desert and canyon country, plus the added valiant effort of a ranger's struggle to save the doomed herd of deer on the Buckskin range. Grey makes the reader see this colorful Arizona country, feel something of the awe that is the inevitable reaction of man to the majesty of one of nature's miracles, smell the tang of mingled pine and sagebrush, and thrill to the heroic struggle of a few dedicated men as they battle to undo the harm of the willful and greedy.